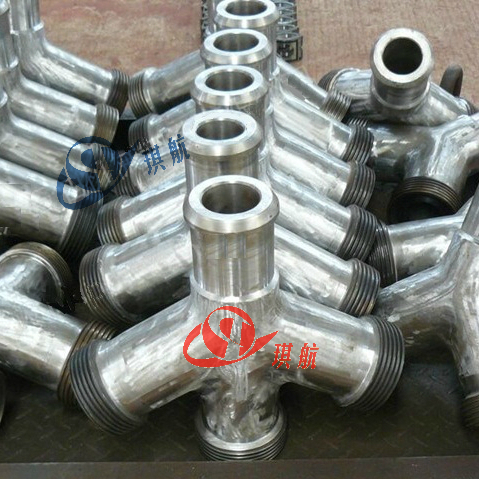 Integral Union Fishtail Fittings, also referred to as Crowsfoot Fittings, belong to the high pressure flow line Integral Fittings family. 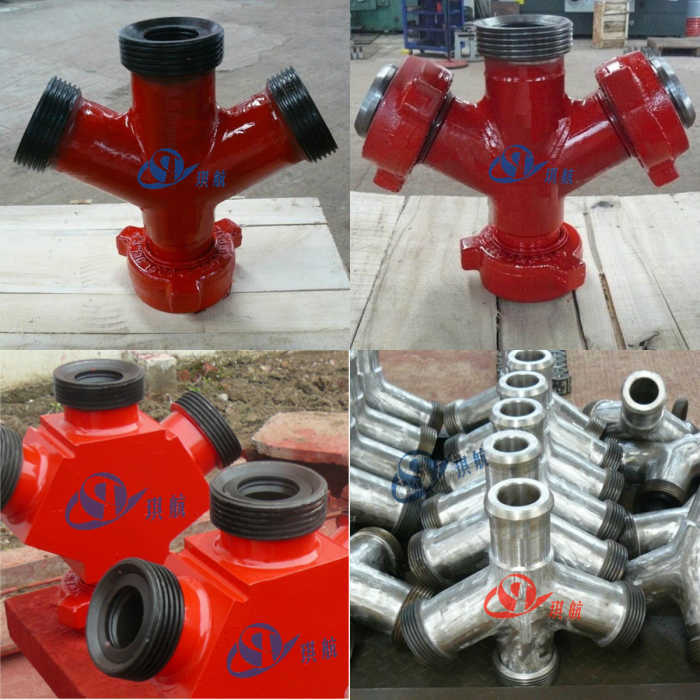 In the Oil & Gas industry, the Fishtail Fittings are used with integral Pup Joints to form complex pipelines. 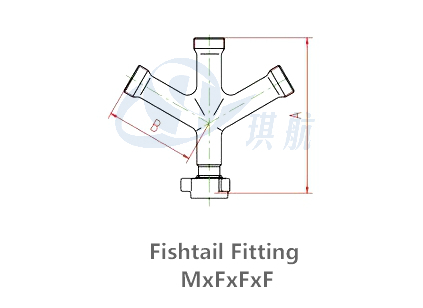 Our Union Fishtail Fittings are upgrade of SPM & FMC Weco Fishtail Fittings and are fully designed, manufactured, and tested in accordance with API 6A and API 16C standards. 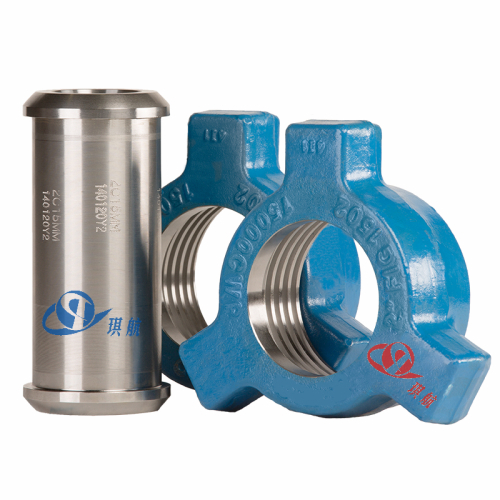 Available in sizes 2", 3", 4″ and rated cold working pressure (CWP) at 6,000psi, 10,000psi, 15,000psi and 20,000psi. 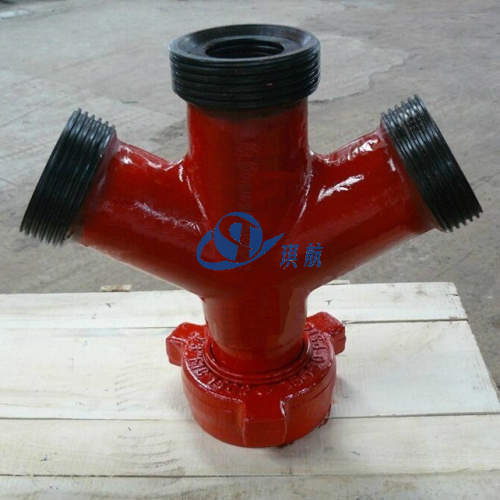 Qihang's fishtail fitting crosses are widely used in cementing, fracturing and testing lines, and other well service applications. 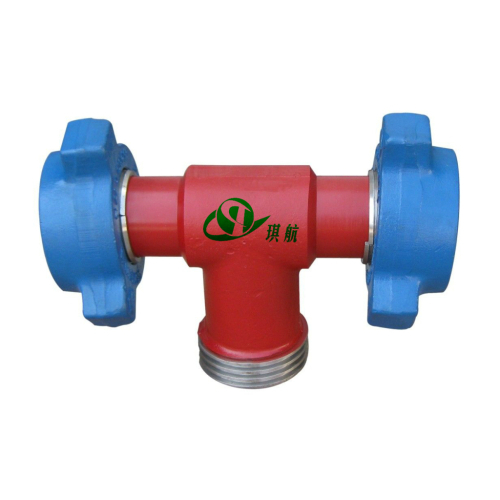 Fishtail fittings for both standard service and sour service are available. 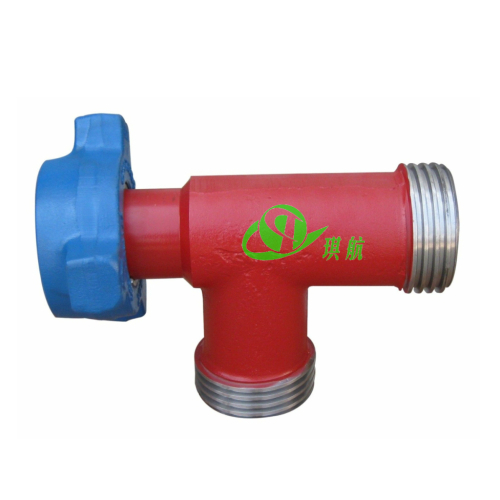 The standard material of our fishtail fittings is integral forged AISI 4130 alloy steel. 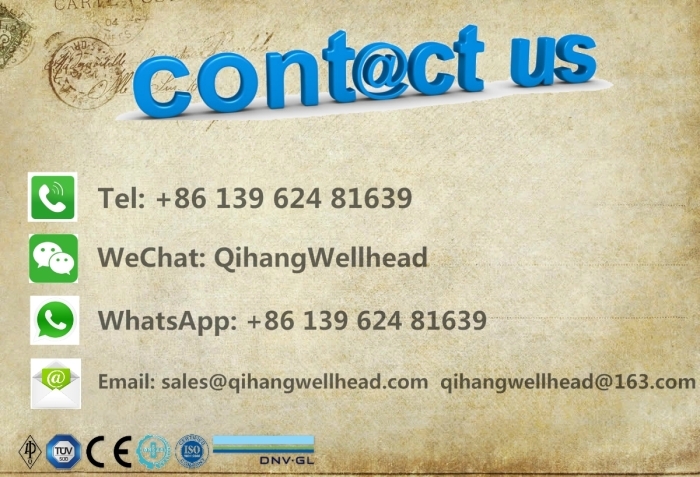 Other material is available upon request. 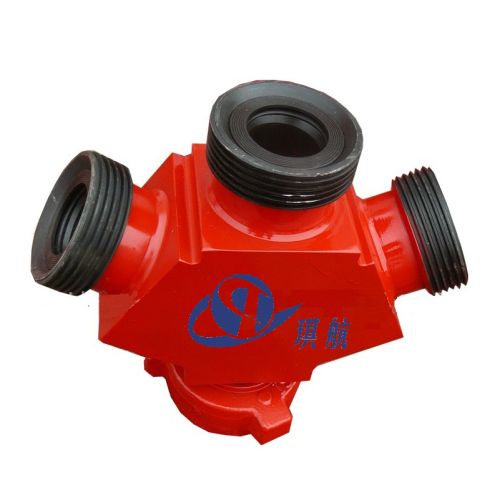 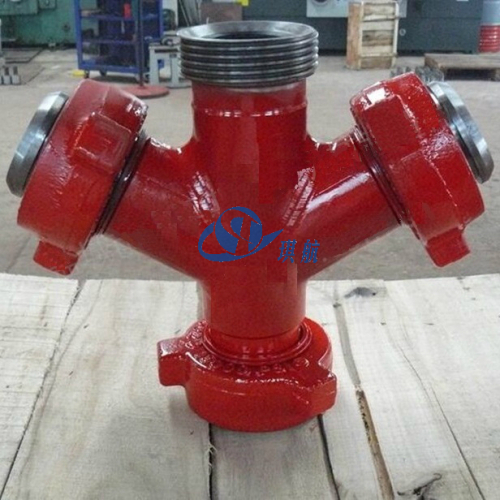 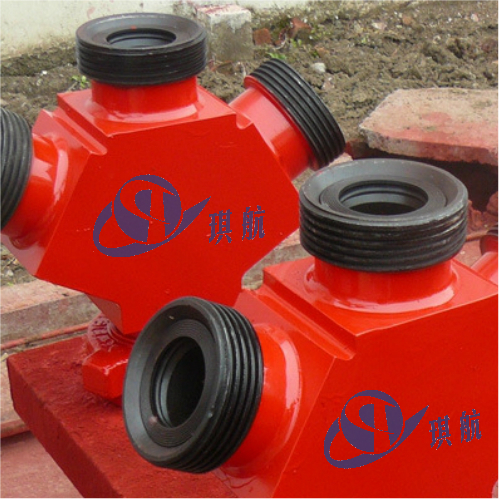 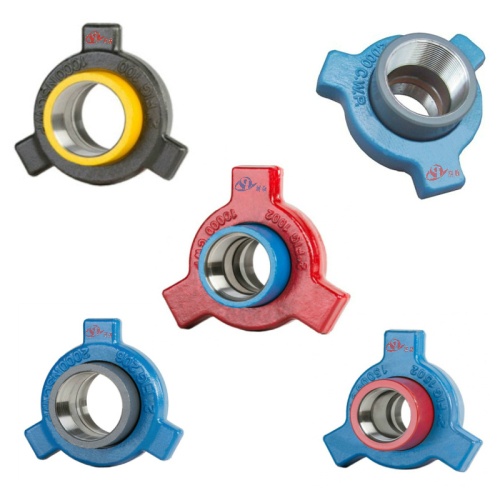 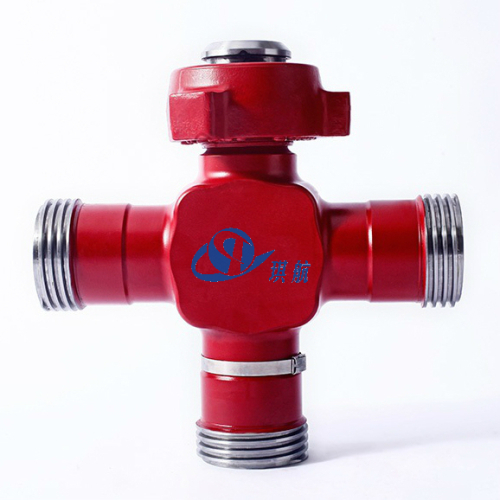 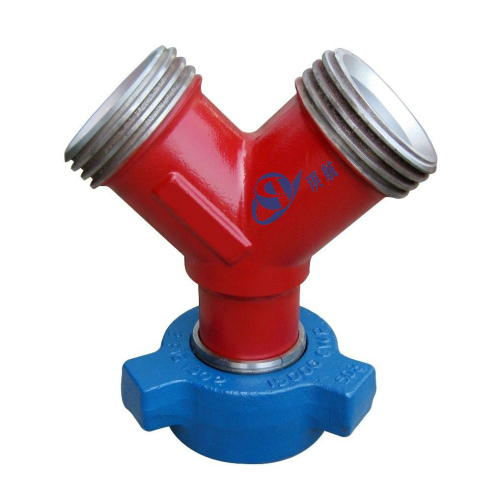 Apart from Union Fishtail Fittings/Crowsfoot Fittings, we also produce and supply high pressure flow line integral fittings such as Hammer Union Crosses, Hammer Union Elbows, Union Tees, Union Wyes, Union Laterals, Union Crossovers, Pup Joints, Steel Hose Loops. 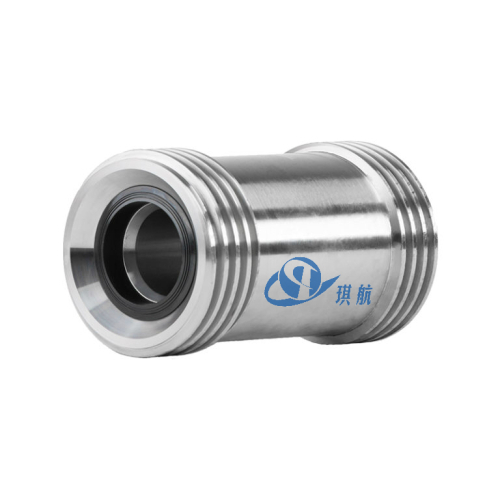 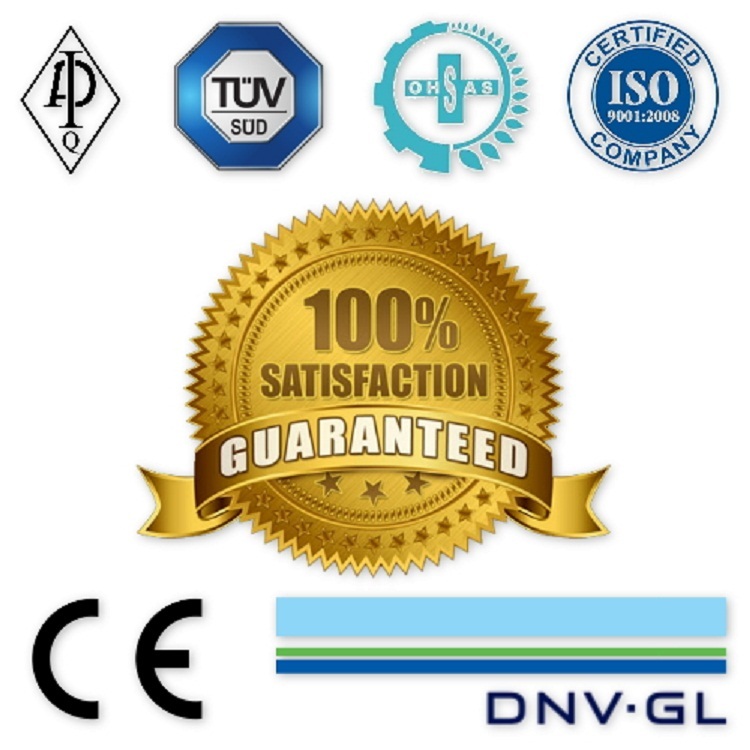 Traceability: Qihang's Weco Union Fishtail Fittings are supplied with full traceability documentation. 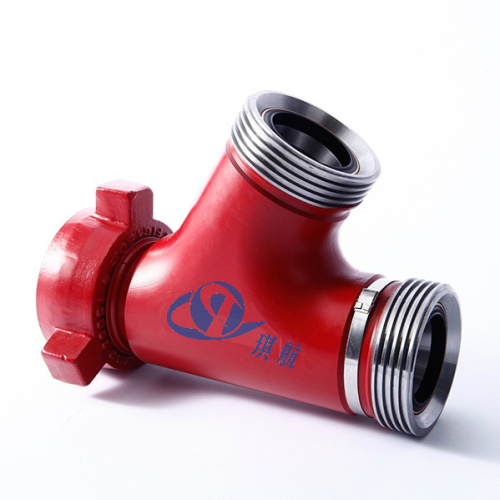 Interchangeability: Our Union Fishtail Fittings are interchangeable with SPM Fishtail Fittings and other major brands. 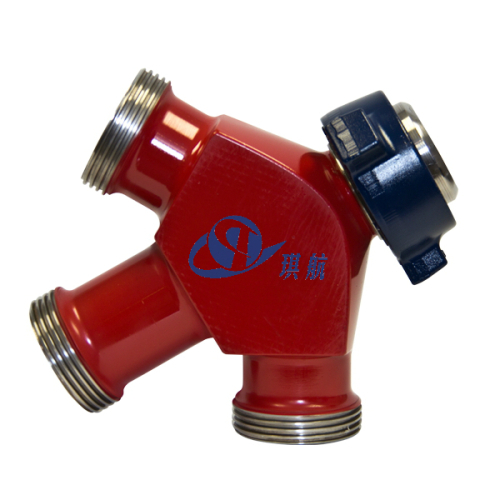 At our Truly Competitive Prices, everyone needs integral union fishtail fittings.